What do you intend to use your trellis for? What kind of style trellis are you considering? Do you like vertical, horizontal, doublebacked or diagonal styles? Do you want it framed or unframed? What is the size of the area? Will it be permanent or transportable? Consider your budget. The purpose for your trellis, its size and its design will have an impact on how much it will cost. 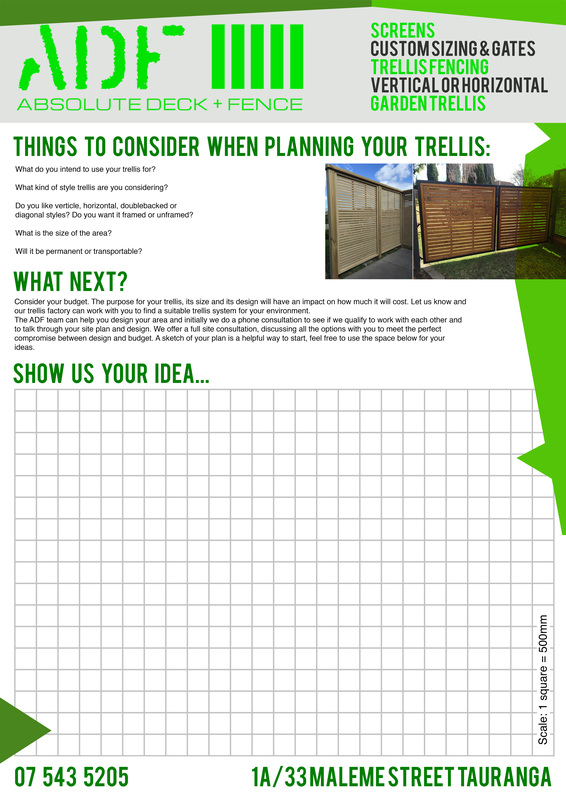 Let is know and our trellis factory can work with you to find a suitable trellis system. to support garden growth and vines. For added strength we can also add diagonal braces to your design. Various sizes and styles can be made to measure as every back yard is different. Enquire about our Trellis options and let us help you transform your backyard into a private escape.